We appreciate all of our faculty and staff! Click here to see our recent Appreciation Days! Congratulations to Mr. Seth Rhoton and Mrs. Brittney Rhoton for being selected to attend Energy Camp! 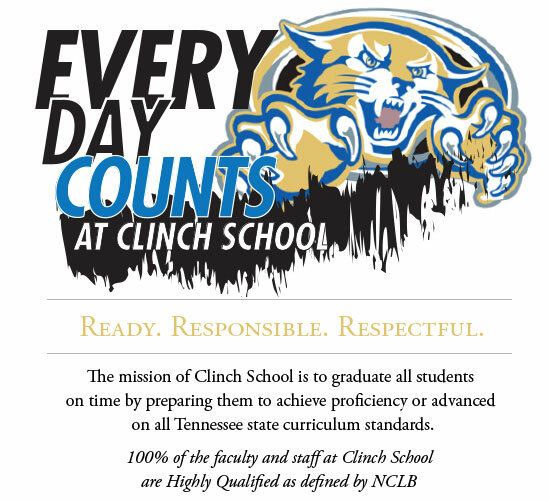 Congratulations to Mr. Josh Lawson for being nominated as Clinch School's 2018-2019 Teacher of the Year! Congratulations to Mrs. Denise McKee for being recognized as the 2018-2019 Principal of the Year for Hawkins County Schools! Clinch School's Reward School Celebration!